A musical sculpture for the garden! 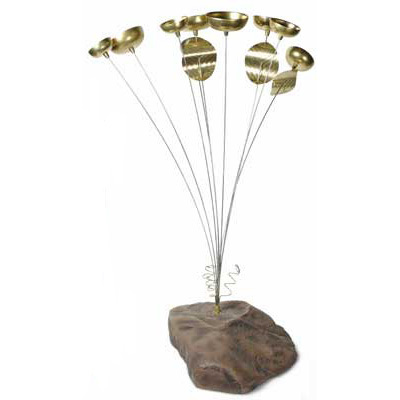 Materials: GardenStone base, 9 polished brass bells. Dimensions: 61 cm. Tall; 33 cm. Diameter.